The FCC has invited public comments on ARRL’s 2018 Petition for Rule Making, now designated as RM-11828, which asks the FCC to expand HF privileges for Technician licensees to include limited phone privileges on 75, 40, and 15 meters, plus RTTY and digital mode privileges on 80, 40, 15, and 10 meters. Interested parties have 30 days to comment. The Technician enhancement proposals stemmed from the recommendations of the ARRL Board of Directors’ Entry-Level License Committee, which explored various initiatives and gauged member opinions in 2016 and 2017. * Phone privileges at 3.900 to 4.000 MHz, 7.225 to 7.300 MHz, and 21.350 to 21.450 MHz. * RTTY and digital privileges in current Technician allocations on 80, 40, 15, and 10 meters. The ARRL petition points out the explosion in popularity of various digital modes over the past 2 decades. Under the ARRL plan, the maximum HF power level for Technician operators would remain at 200 W PEP. 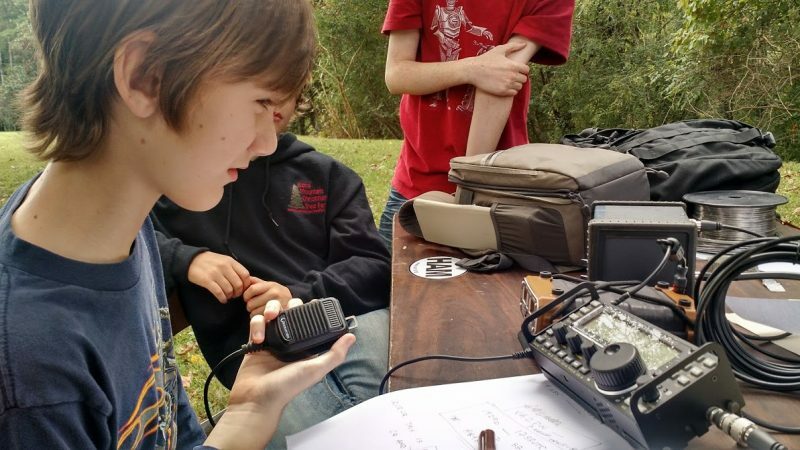 The few remaining Novice licensees would gain no new privileges under ARRL’s proposal. ARRL’s petition points to the need for compelling incentives not only to become a radio amateur in the first place, but then to upgrade and further develop skills. Demographic and technological changes call for a “periodic rebalancing” between those two objectives, ARRL maintained in his proposal. The FCC has not assessed entry-level operating privileges since 2005. The Entry-Level License Committee offered very specific data- and survey-supported findings about growth in Amateur Radio and its place in the advanced technological demographic, which includes individuals younger than 30. It received significant input from ARRL members via more than 8,000 survey responses. “The Committee’s analysis noted that today, Amateur Radio exists among many more modes of communication than it did half a century ago, or even 20 years ago,” ARRL said in its petition. ARRL said its proposal is critical to develop improved operating skills, increasing emergency preparedness participation, improving technical self-training, and boosting overall growth in the Amateur Service, which has remained nearly inert at about 1% per year. The Entry-Level License Committee determined that the current Technician class question pool already covers far more material than necessary for an entry-level exam to validate expanded privileges. ARRL told the FCC that it would continue to refine examination preparation and training materials aimed at STEM topics, increase outreach and recruitment, work with Amateur Radio clubs, and encourage educational institutions to utilize Amateur Radio in STEM and other experiential learning programs.